Lolly the Trolley : Cleveland Life. The Comback City ! 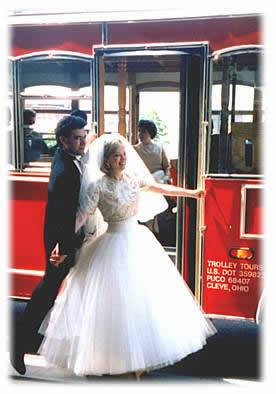 Trolley Tours of Cleveland offers tours and transportation throughout Cleveland and Northeast Ohio. You pick the time and place and we will be there for you and your guests whether it's 1 person or 1,000! We have vehicles and drivers suitable for any occasion. Trolleys for events, large and small; mini- coaches for your special corporate needs and charter executive coaches for specific occasions.